Apr 22 Verse Week List-O-Rama: Got History? While novels in verse tend to focus on contemporary settings and situations, historical novels in verse, like May B--which Sandra reviewed earlier today, historical fiction has a pretty strong hold in the verse format as well. Let's take a look at a few. 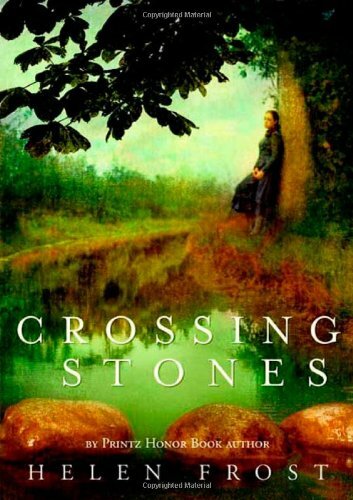 Laura highly recommends this novel in verse by Helen Frost which chronicles the experiences of two families during World War I. The main character, 18-year old Muriel, becomes interested in the women's suffrage movement, so it's a good choice for folks who are also interested in women's history. I recently bought this slim novel in verse which focuses on two teens in the late-1800s who cross class barriers to forge a friendship, and eventually a romance. 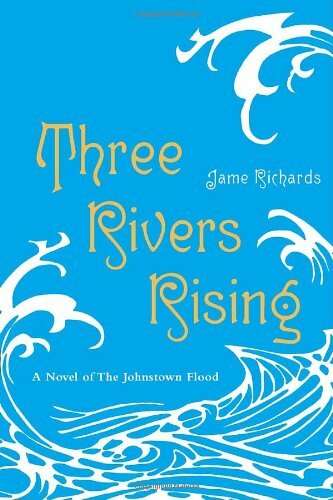 Their happiness is threatened when the Johnstown flood sends 20 million gallons of water into Johnstown, Pennsylvania. This definitely falls into the "poetic" side of the verse novel spectrum. 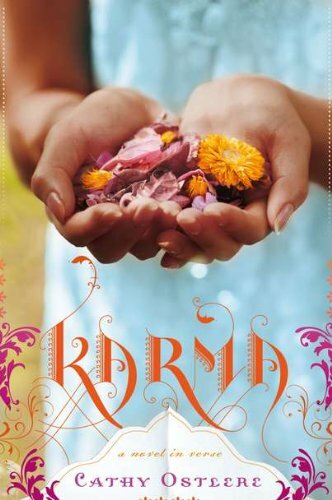 Karma is a looooong novel in verse set in 1984 India following the assassination of Indira Ghandi. The main character was raised in Canada and is half Hindu, half Sikh, and the politics around her as well as her personal identity are full of conflict. 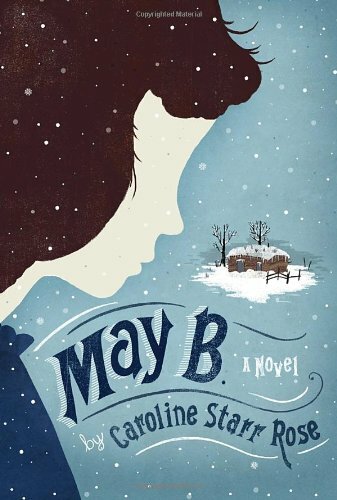 If you loved Little House on the Prairie, you just might love May B., a middle grade novel about Kansas in the 1800s. This is a short, fast-paced novel that also has a very rich setting. Sandra is a brutal star-er. It's a rare novel that gets four-stars on Goodreads, let alone five. 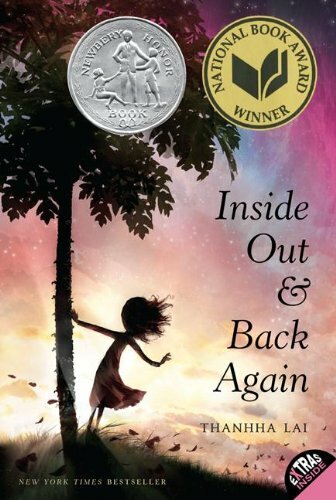 However, National Book Award Winner Inside Out and Back Again earned that rare honor. This middle grade novel in verse chronicles the experiences of a young girl who flees Vietnam to Alabama with her family in 1975. All the Broken Pieces is set in roughly the same time period as Inside Out and Back again but is instead focussed on a boy who was part of the controversial Operation Baby Lift at the end of the Vietnam War. 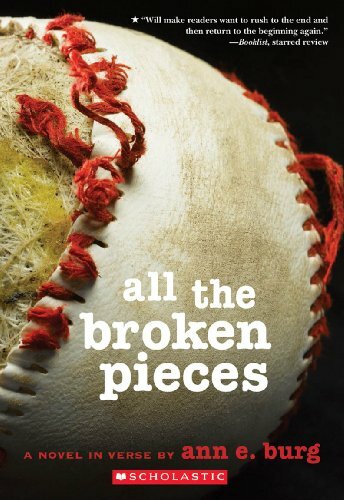 The main character struggles with identity in his new home while also finding a place for himself on the baseball field. 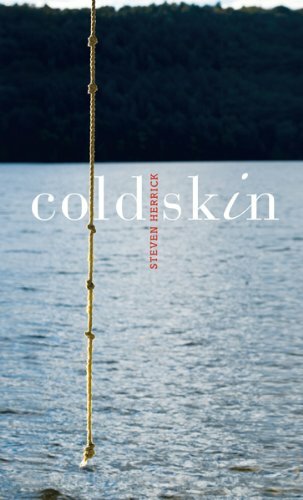 Set in Australia following World War II, Cold Skin is a historical murder mystery wrapped in a coming of age tale. This is a somewhat unusual novel in verse in that it's told from a number of (nine, specifically) points-of-view. I always enjoy reading verse novel in multiple perspectives because it allows the author to play for form to communicate the character shifts. 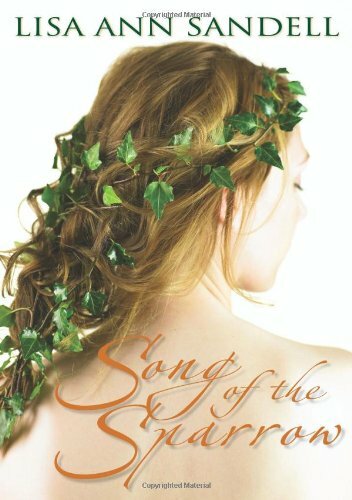 I went back and forth about whether to include Song of the Sparrow in my roundup of historical novels in verse, because technically it's a retelling of the poem/ballad The Lady of Shallot, which makes it less historical and more something else for me. However, since it's not like Arthurian novels in verse are in particular abundance, it's one that I felt I should include. 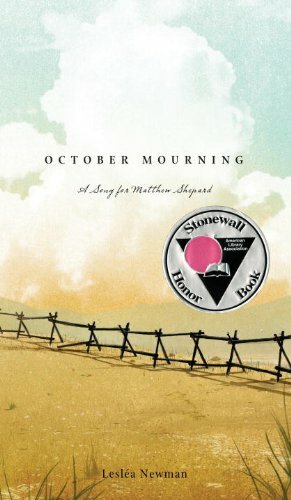 I have to shamefully admit that I haven't yet read October Mourning, which is a fictionalized account of the brutal murder of Matthew Shepard in 1998--I just haven't been able to steel myself enough to yet. However, it's been heralded by seemingly every publication and reviewer, and is an important novel in verse about a tragic event.